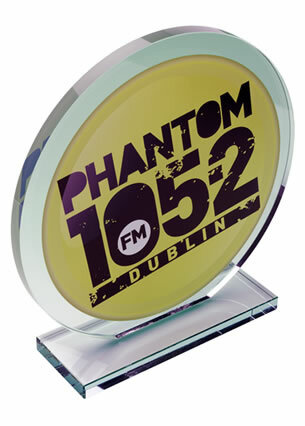 15mm thick jade glass award in asymetric 'Elite' design, 28cm / 11in tall. The peak of achievement! 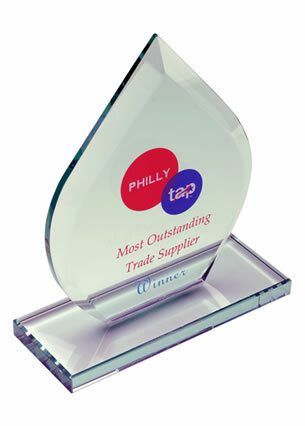 Reward outstanding performance with these outstanding 11in tall flat glass awards. 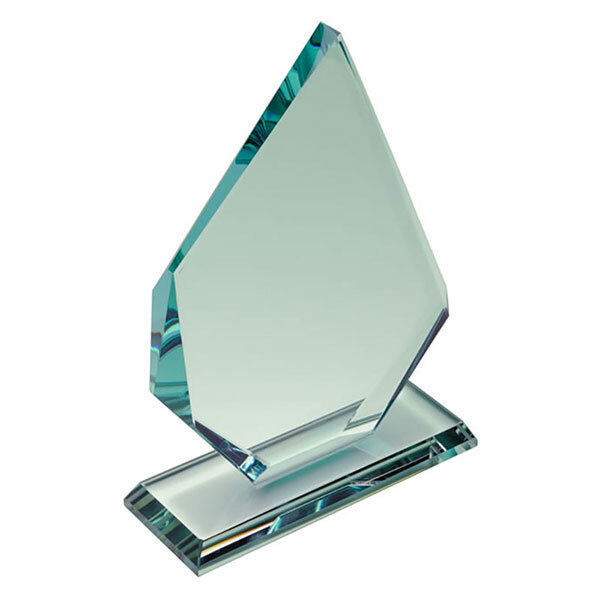 Crafted in a contemporary asymetric design, these Elite flat glass awards are offered with low-cost text engraving and free logo engraving. 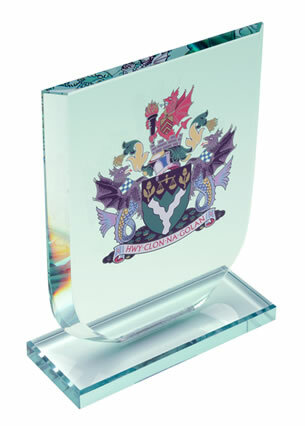 They feature a sturdy base with rounded edges, and the magnificent asymmetric award is crafted in 15mm thick jade glass.